I make no secret of my ADORATION for Diva products. I've reviewed several on this blog including the Ultima hairdryer, the Heatwave and their Hot Tong. 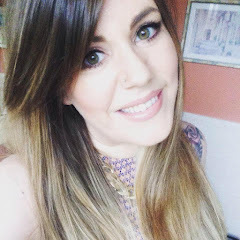 I first heard about the Feel The Heat, Argan Gold styler at the SoapboxPR press day back in April when i got treated to a demonstration and got to try them for myself. Obviously the idea of Argan Oil infused into ceramic plates is the stuff that dreams are made of, isn't it! Well Diva only went and DID IT! For anyone who may be confused as to HOW the Argan Oil is integrated into the plates, i'm informed that it works very similar to a Teflon coating on a saucepan (that's about the simplest way i can describe it to you). You cannot see or feel it on the plates, you just know it's there. As you run the plates through the hair, a slight coating of Argan Oil is deposited onto the hair giving unbelievable shine and an altogether smoother finish to your style (be it poker straight or curled). This also means that you end up using less product on the hair, and it gives great control over frizz and flyaways! The other thing i love about this styler is that it has variable heat settings. I was never comfortable to straighten my hair extensions with my GHDs as i just found them too HOT! This styler, as with most other Diva tools, has variable heat from 120 up to 220 degrees. I find this a major bonus because if i want to straighten my extensions i only want around 140, whereas my thick, unruly natural mop can easily require 180-200! With this, i can just crank it up or down accordingly! You may be wondering about the 'Intelligence' of this styler... Well, like the more recent models of GHD, this one knows when you've forgotten about it and will promptly switch itself OFF! In fact it's quicker off the mark than GHDs which can either be a good thing or if, like me, you tend to switch your straighteners on then go off and start something else while they heat up, then it can be a minor annoyance when you go back to them and they're stone cold again haha. I can live with it though, purely for the reassurance that even if i've left the house and not switched them off, then they will happily do it themselves. Saves on that paranoia that we've ALL experienced with heat styling tools! Well that turned out to be quite a long-winded post didn't it! I just find that i have a lot to say about this product because i love them so much and it's part of my daily life now! I just felt i owed it to them to do a full review. Up to now i've only mentioned them in favourites and other styling posts. This model of the Argan Gold Styler (they also do an 'Elite' version that i would give my left leg for) retails for £79.99 and can be found by searching on Amazon or from Sally's and other professional retailers. What is your must have styling tool?? Have you been tempted away from your beloved GHDs?? What features do you look for in a good styler? ?